What’s the best way to attract butterflies? Nectar plants, for sure, but that’s not the whole equation. Host plants for caterpillars invite residents, not just passersby. Lynne and Jim Weber, Texas Master Naturalists, authors, and informative bloggers, put us in the know with insights from their book Native Host Plants for Texas Butterflies. 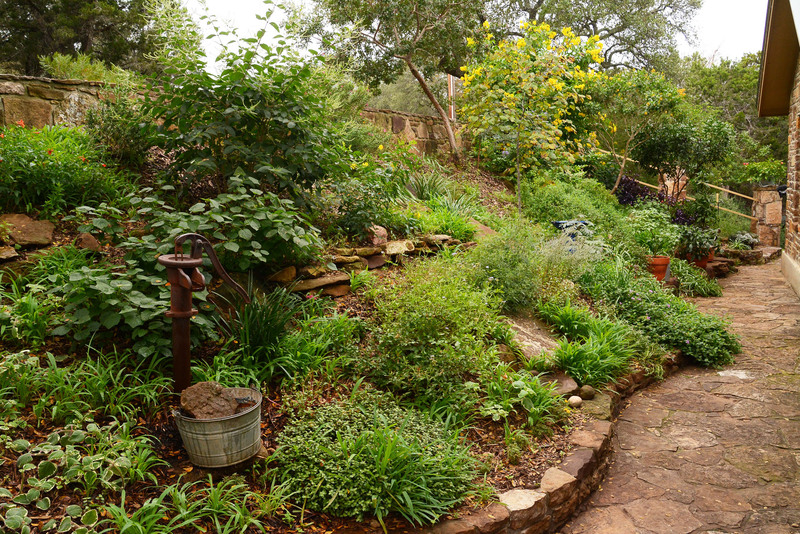 In Blanco, Sheryl and James Hearn pair structured gardens with native plants for wildlife. To answer your tree questions, certified arborist April Rose, City of Austin Urban Forest Health Coordinator, has your answers. Plus, find out why to plant spring-flowering mountain laurels. To attract bees and butterflies this winter, plant annual calendulas for cheery flowers that bloom until May. Their petals are edible, too. Carla Crownover, co-owner of Springdale Handmade, shows how she and Paula Foore make a healing salve with oil-infused petals. 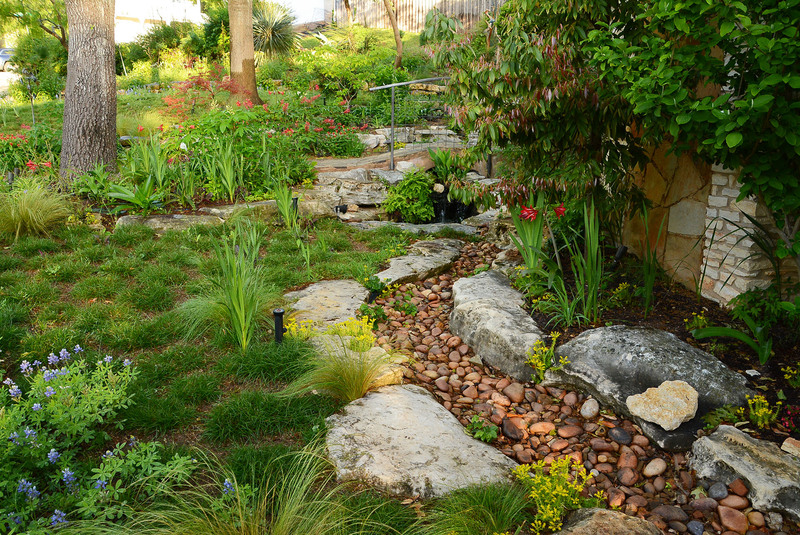 In Blanco, Sheryl Smith-Rodgers and James Hearn scrapped most of the lawn for dynamic wildlife habitat with native plants and a pocket prairie. One rock and one garden at a time, they turned lifeless land into a Certified Backyard Habitat and Wildlife Habitat Demonstration site. In her blog, Window on a Texas Wildscape, Sheryl documents how she rescued valuable native plants, including many species of milkweed. Why did my trees lose leaves early? Certified arborist April Rose, City of Austin Urban Forest Health Coordinator, answers CTG viewer questions about trees losing leaves in drought. Pine tree losing foliage: Jesse’s pine tree is about eight years old and it’s lost a lot of foliage this year. Is there anything he can do? Pine trees generally don’t do well in Austin’s alkaline soils. Texas pines are adapted for acidic soil conditions. The Afghan pine is one of the best candidates for our soil, but it is not well acclimated to our rainfall and humidity, making it vulnerable to the fungal infection: Diplodia tip blight. If caught early, Diplodia can be managed through sanitation and fungicide. You can contact a Certified Arborist to help you determine if that is what’s causing the foliage loss and what treatment might be appropriate. Red oak & others losing leaves: We also got a question from Julia and others about trees dropping their leaves in summer. In Julia’s case, her healthy established red oak lost half its leaves after recent 10 inch rains. Is this a problem? Many trees, especially red oak and sycamore respond to summer drought and heat by dropping their leaves early. For many of these trees, the late summer and fall rains will help them restore vigor going into winter, but the stress that caused the early leaf drop initially needs to be considered in future cultural practices. 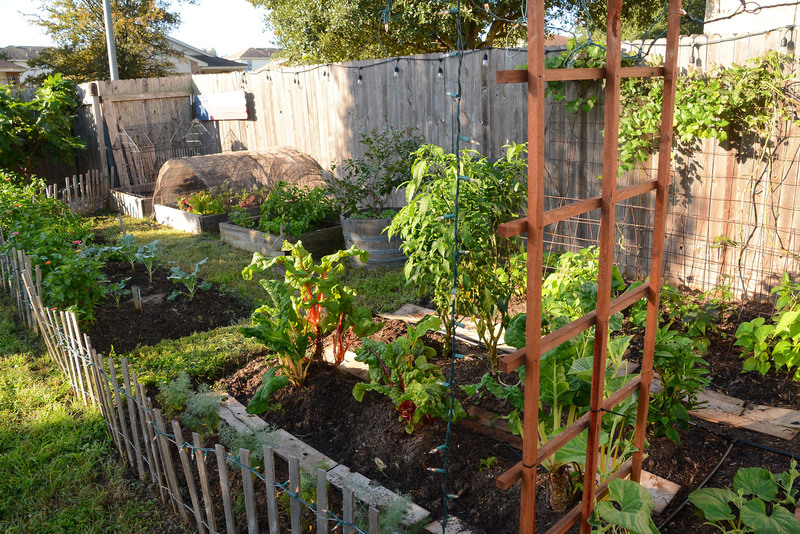 So to mitigate the stress of summer drought, be sure to maintain three inches of mulch over as much of the root zone as possible, and for established trees, water deeply once a month if there hasn’t been at least an inch of rain. Pecan tree leaves turning brown: And from Ron in Blanco about his pecan tree. The leaves turned brown in late August. This does not look good, especially because the trees around it appear to be doing okay with the summer heat and drought. I wouldn’t rush to remove this tree. This may also be early leaf drop from the drought and heat, and perhaps the recent rain will help replenish it. If this were my tree I would wait and see how the tree leafs out in the spring. If spring leaves are only sprouting along the branches and not out at the tips then it is dying back and it would be better to remove while it’s safe to climb rather than waiting until it becomes hazardous and brittle. This native shrub/small tree is an evergreen that is extremely drought tough. Even in years of extreme drought, they survive when other natives have died. It is a slow grower, but well worth the wait. It's an excellent screening or accent tree. Height at maturity: 10-20 feet tall; 8 to 12 feet wide Light: full sun is best but can take part shade. Soil: Adapts to most soil types but wants good drainage. Do not over water once it is established. It has a very long tap root, which makes it drought-tough (but also harder to move!). Flowers: Large scented flowers in early spring that attract all kinds of beneficial insects. Many people describe the fragrance as grape Kool-Aid! Why not bloom: Maturity is one reason. The other: pruning off flower spikes, which form very quickly in spring, just after this year's flowers. These knobby growths may look odd, but they represent next year's flowers. Mountain laurels should only be pruned at trunk branches to shape (if necessary). 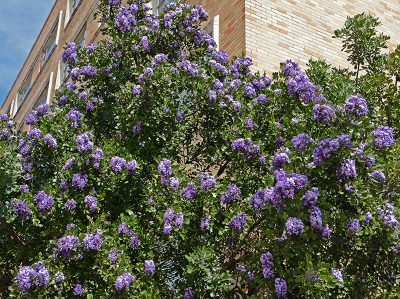 Also, Texas mountain laurel can be attacked by the Genista caterpillar. In one day, they can defoliate a tree, so be sure to apply Bacillus thuringiensis (Bt) at the first outbreak. Most likely, you will only have to spray once, but in intense invasions, you may not need to reapply. This foliar application will disrupt the caterpillars' digestive system and they will stop feeding and die in a few days. Deer resistance: Yes. Seeds: The seeds are poisonous if swallowed, but not dangerous otherwise. Once fully mature, the seed pods turn dark brown or gray, and the seeds inside are dark red. The seeds have a very heavy seed coat, making them hard to germinate. But if you wish to try, it's best to harvest the seed pods before they are fully developed and plant the seeds before they have turned red. To attract bees and butterflies this winter, plant annual calendulas for cheery flowers that bloom until May. Their petals are edible, too. Carla Crownover, co-owner of Springdale Handmade, shows how she and Paula Foore make a healing salve with oil-infused petals.